Kichler Stratmoor Ceiling fan has pull chain for speed control. The induction 3-speed AC motor has a maximum RPM of 160 and air flow of 4830 CFM. 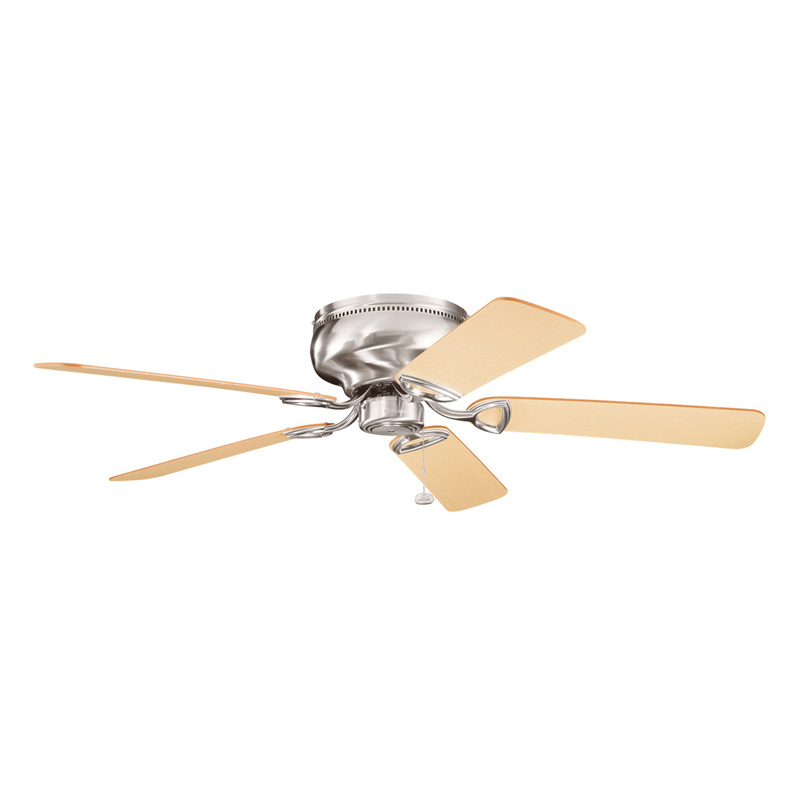 The flush-mount ceiling fan has a current rating of 0.49-Amp, voltage rating of 120-Volts AC and power rating of 59-Watts at 60-Hz. It comes with five blades that have medium oak/dark oak finish. The blade has a blade pitch of 14-Degrees and blade sweep of 52-inches. The ceiling fan in brushed stainless steel finish, furnishes your home with inviting comfort and eye-catching detail. It comes with 12-Inch lead wire. It is suitable for dry locations. The ceiling fan is CSA UL listed.